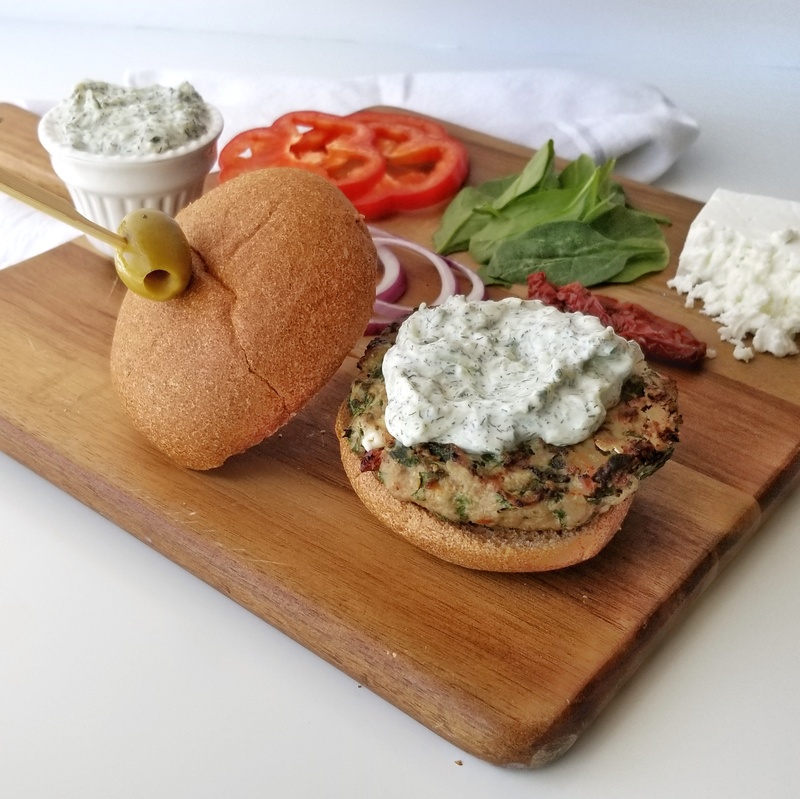 Upgrade your burger game with these deliciously easy Greek-inspired turkey burgers! 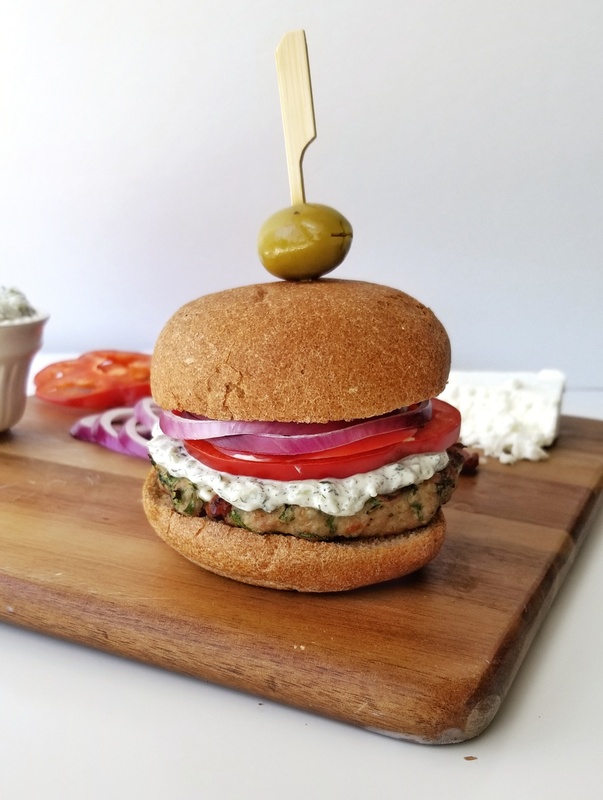 Made with simple, real-food ingredients and drizzled with tzatziki, it’s sure to be a crowd pleaser at your next barbecue. For a low carb option, ditch the bun and eat your burger over a bed of spinach for an extra serving of greens. In a large bowl combine all burger patty ingredients. Mix until well combined. At this time you can choose to freeze the burger patties and save them for another day OR preheat your barbecue and prepare to cook! Once the grill is hot, hard grill one side before flipping (Note – there will be excess water cooking off from the spinach so expect steam). After cooking, top with your favourite veggies and sauces. Enjoy! Note – Prior to cooking, you may notice the burger doesn’t have the same firm texture as a beef burger. The burger will firm up as the meat cooks. Allow for a slightly longer cooking time than with a traditional beef burger.